The Dine-Around on Halloween eve at Eve Kurtin’s beautiful home was a wonderful affair! Eve welcomes about 350 trick or treaters at her home so she was well stocked in goblins and treats. Karen Caplan, Martha De Laurentiis, Rabbi Laura Geller, Beth Morrison, Miriam Muscarolas, Lisa Specht, and of course, Eve, welcomed new member, Elizabeth Faraut and enjoyed a wonderful evening of delicious food, stimulating conversation and friendship. Thank you Eve! Thank you for hosting a wonderful evening for us. 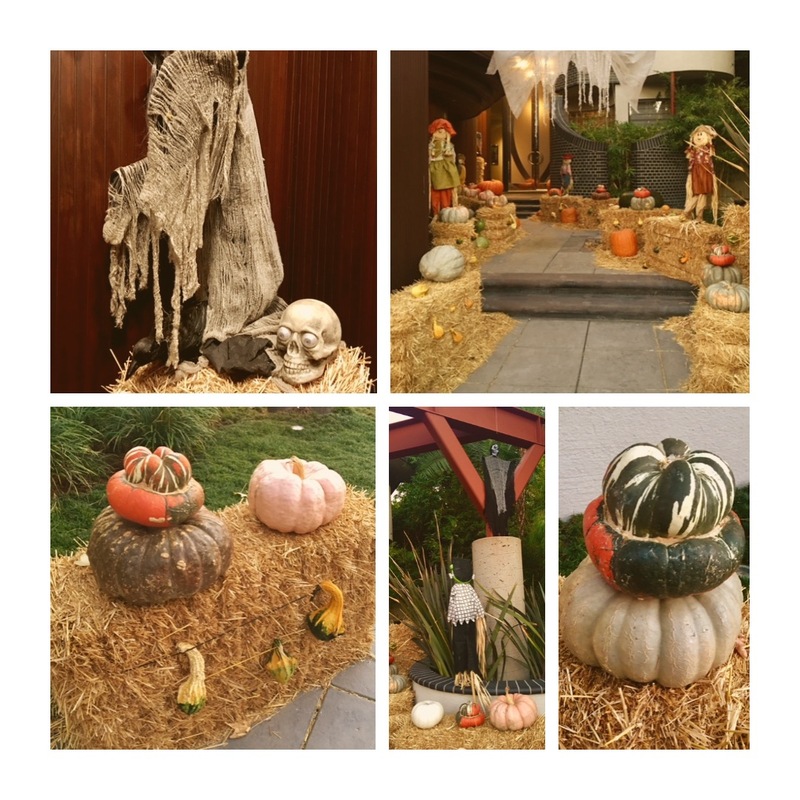 Everything was perfect — the fun Halloween decorations, the delicious food and wine, your beautiful home and, of course, our Trusteeship friends. It’s always a joy to be in the company of engaged, interesting, thoughtful, successful women. I love the diversity of our industries and interests. I appreciated the range of our conversation — one conversation around the table is always my favorite — and being able to discuss everything from the International Women’s Forum conference; the benefits and joys of membership to more serious topics of religion and the increasing wave of antisemitism in our country and gun violence in places of worship. We are fortunate to live in progressive California but tragic that all of us must live on alert everywhere we go. It was great to be in everyone’s company. Welcome, Elizabeth. You are a great addition. Thank you, Eve for bringing us together. And, thanks to your chef for preparing such a delicious and healthy meal. I really can’t add much, except to say how nice it was that you accommodated all of our food choices! And the food was very yummy. I actually included a few comments about it in my President’s letter that will come out tomorrow morning. 🙂 Warmest regards and hope you don’t run out of candy tonight! Just adding my voice to the choir. It was such a lovely evening, and I enjoy getting to know my Trusteeship sisters. I agree that this small group really does allow for group conversation and that’s rare. There’s something about choosing a topic to discuss too, which happened organically, rather than just chatting (which is nice too of course). I think having real discourse on current issues we are facing is a great thing, particularly in a world where we live in soundbites and tweets. Eve, thank you for being so accommodating with dietary things. And, what a gorgeous home you have! I hope to see some of you at my artist loft on the 1st of December and for the opera. For those that can’t come, please consider coming to the opera on another date: Click here Tickets are just $55 with the code: BMPfam Happy halloween! I also want to thank Eve for providing such a wonderful and relaxing environment for a “get to know you”/ “get to know you better” evening. The food was exquisite, and if I didn’t think it would interfere with our burgeoning friendship, I would absolutely try to steal your wonderful chef! Miriam and Karen you did a wonderful job curating the event. And you are right. A small group definitely works best and does lead to a table conversation. Beth, I agree, choosing a topic is important (In these times small talk can seem so — well, small). I so enjoyed hearing and participating in our table discussion on current issues. What wonderful opportunities the Trusteeship gives us to meet interesting women! Thank you again Eve.